Orders can be placed online or walk-in. Payment is due immediately upon check out via Visa or Mastercard only. Cash is accepted for walk-in customers, no checks accepted. Orders will be processed on a first come, first served basis. Any transactions within the state of California will be charged 9.25% sales tax. All orders received prior to 1:00 P.M. Pacific Time will be processed the same day. Orders placed after 1:00 P.M. Pacific Time will be processed the following business day. All orders will ship within 1-2 business day after processing. Shipping will be arranged by the most economical method, usually United Parcel Service or FedEx. WE DO NOT SHIP TO PO BOX OR APO/FPO. Any shipments that are refused or undeliverable are subject to additional costs. Each order is carefully packed and checked before they are given to the carrier. If you have received a wrong part, contact us immediately and proper actions will be taken to resolve the matter. Should you receive a package that appears to be damaged, please inspect in presence of carrier before signing. All claims for damages and/or loss must be made immediately to the carrier within 7 days. Rev9Power will ship you replacement item(s) after the claim has been processed and resolved. If the item is no longer available, a refund will be issued for the item(s). Will calls and pick ups are available upon prearranged terms. Order will only be released to billing name on the invoice. Proper identification will be required upon arrival. NO EXCEPTIONS. Please call 626-442-9825 for further inquiries. Request for returns and exchanges must be issued a return merchandise authorization number (RMA#) prior to sending the product back. Please call and a RMA# will be issued to you (see “Claim Procedure” below). RMA# must be clearly visible on the return shipping package to ensure proper processing. Returns and exchanges are accepted within 30 days from the date of purchase on your receipt. 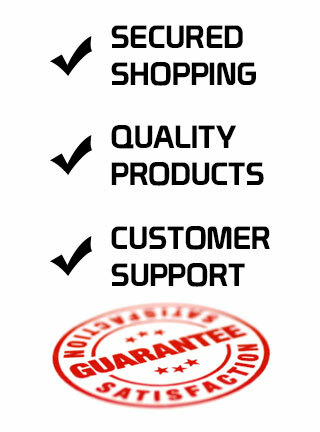 Returning product must be new, unused, and packaging must be in resalable condition to be issued a full refund. Items that do not qualify are subject to a 25% restocking fee. Exchangesmust be made at equal value or more. Any remaining balance will be settled in the same form as original payment received. The product must also be new, unused, and packaging must be in resalable condition to qualify for an exchange. Items that do not qualify are subject to a 25% restocking fee. In both cases, customer is responsible for shipping the package back to Rev9Power. NO RETURNS OR EXCHANGES WILL BE CONSIDERED ONCE THE PRODUCT HAS BEEN USED. ABSOLUTELY NO RETURNS OR EXCHANGES ON PRODUCTS THAT WERE SPECIAL ORDERED. Rev9Power warrants to original retail purchaser that Rev9Power products will be free from defects in material and workmanship for a period of one (1) year from the purchase date on your receipt. Rev9Power will repair or if repairing is not possible, replace the item. Warranty will be voided if the original product has been modified, mishandled, abused, negligence, or involved in accidents. If a claim is started, a return merchandise authorization number (RMA#) will be issued and is required when returning the product for evaluation. Final assessment will be made by Rev9Power warranty department. Please read all instructions prior to installation and use. Improper installation or misuse of the product may lead to failure and damage to both product and vehicle. The user assumes all responsibility. For assistance, please contact a local Rev9Power Authorized Dealer. All products are intended for use off public streets and highways. Vehicle manufacture warranty maybe voided should any modification(s) or removal(s) of OEM components are determined. Federal and state law may prohibit the removal, modification or rendering of any device affecting vehicle emissions. It is the users responsibility to be aware of federal, state and local laws. User assumes all cost and risks associated with purchase and installation of after market components. The information you provide is kept confidential and is used to process orders but not limited to sweepstakes, contests, giveaways and other Rev9Power affiliated promotions. Rev9Power does not sell any customer information to 3rd party sources. The information provided is for the sole purpose of Rev9Power use.